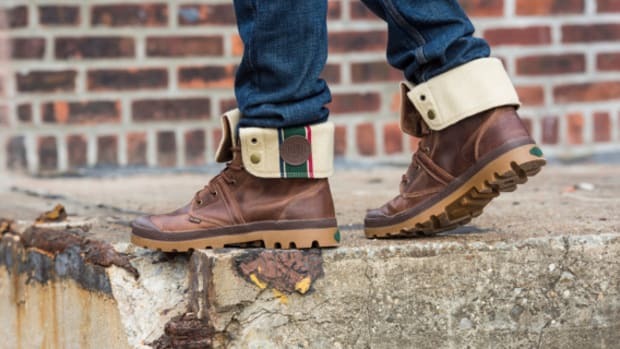 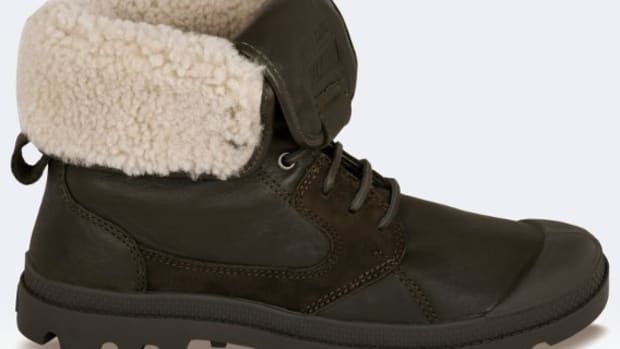 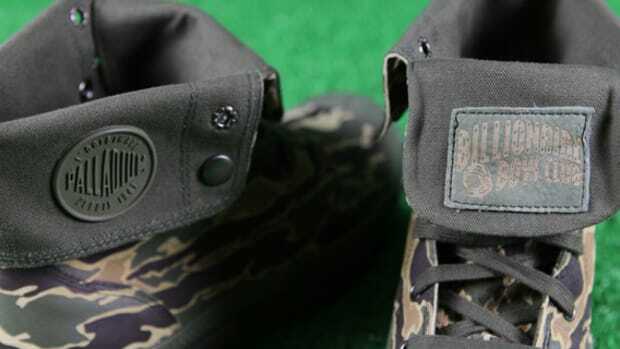 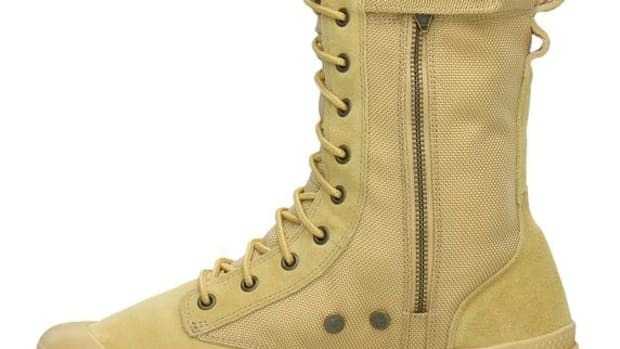 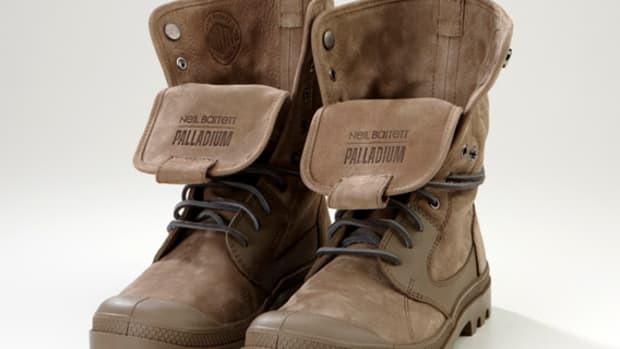 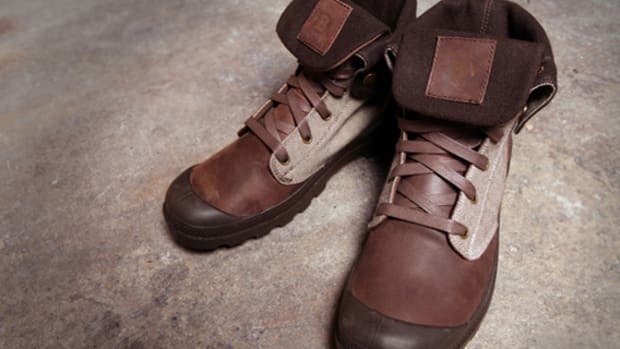 Palladium has teamed up with British fashion label Maharishi on a pair of Maharishi Tactical Boots. 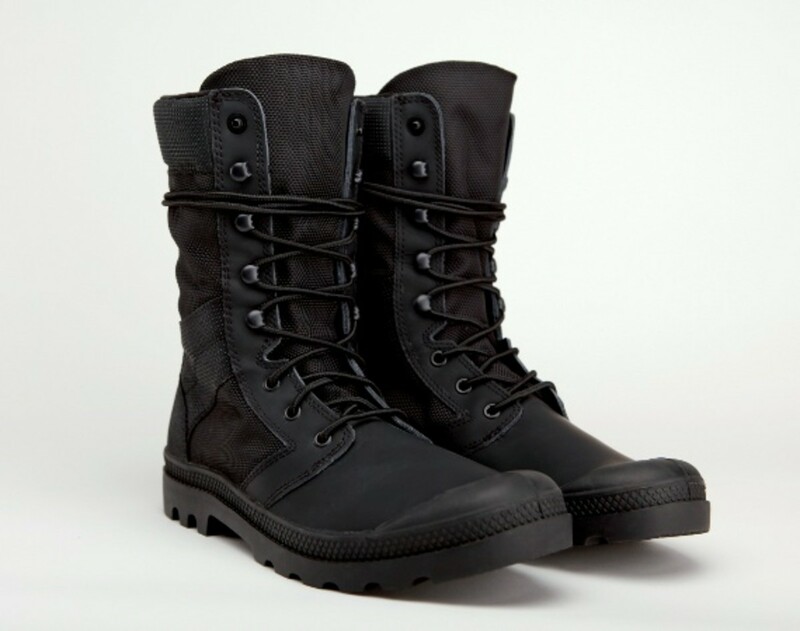 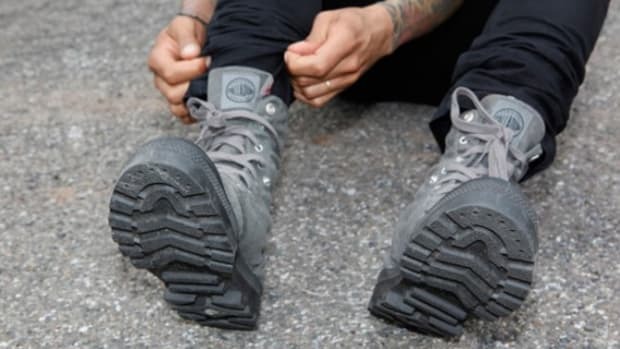 A retooled version of Palladium&apos;s Pampa Tactical model, the boots are crafted with a combination of rubberized leather, ballistic nylon, and Dri-Lex moisture wicking lining. 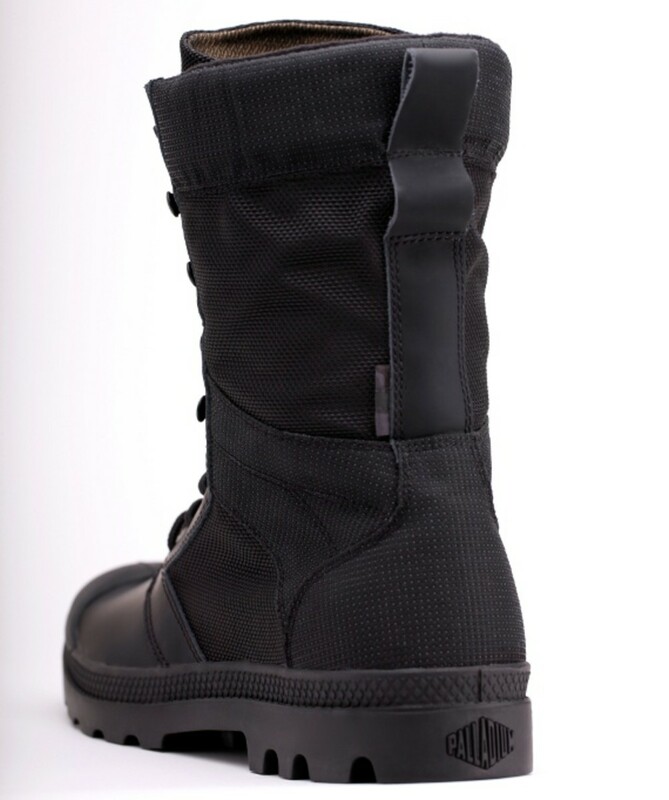 Meanwhile, the back panel of the boot is made with Schoeller-Dynatec material, a complex weave featuring a reflective thread that provides both superior durability and visibility -- the fabric reflects back light up to 100 meters with a minimal white light source. 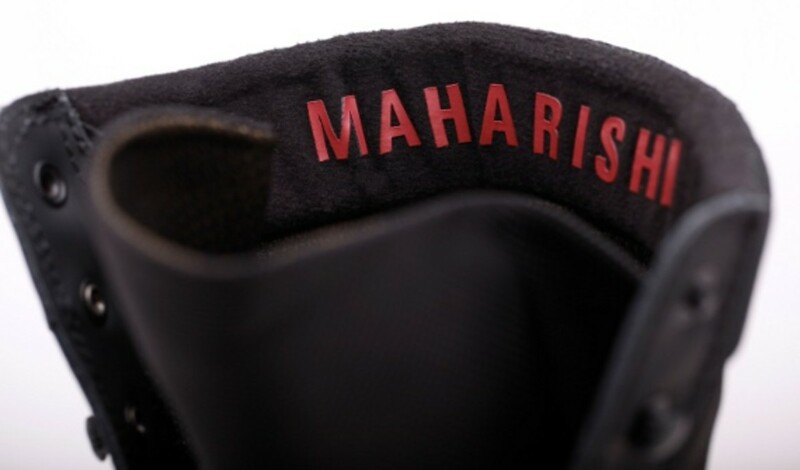 Maharishi branding on the interior of the padded collar finish the look. 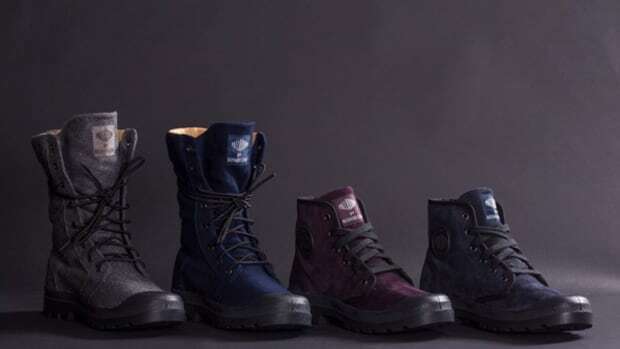 The boots are available now at Palladium and Kitson stores, as well as Palladium&apos;s webstore.